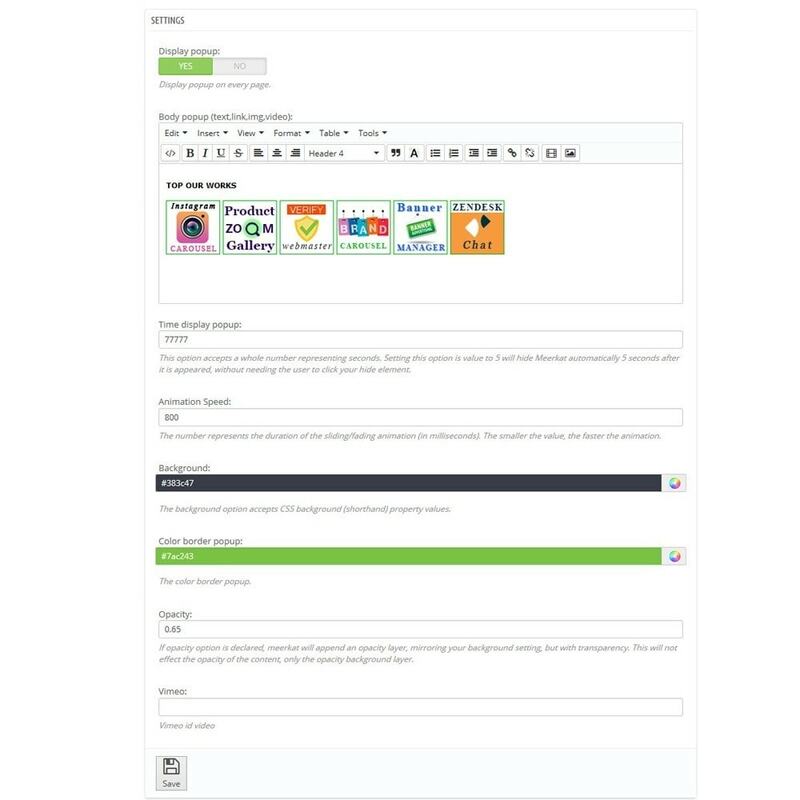 You will get easy way to send your visitors a welcome message, notice, or advertisement when you will add this popup module to your store. 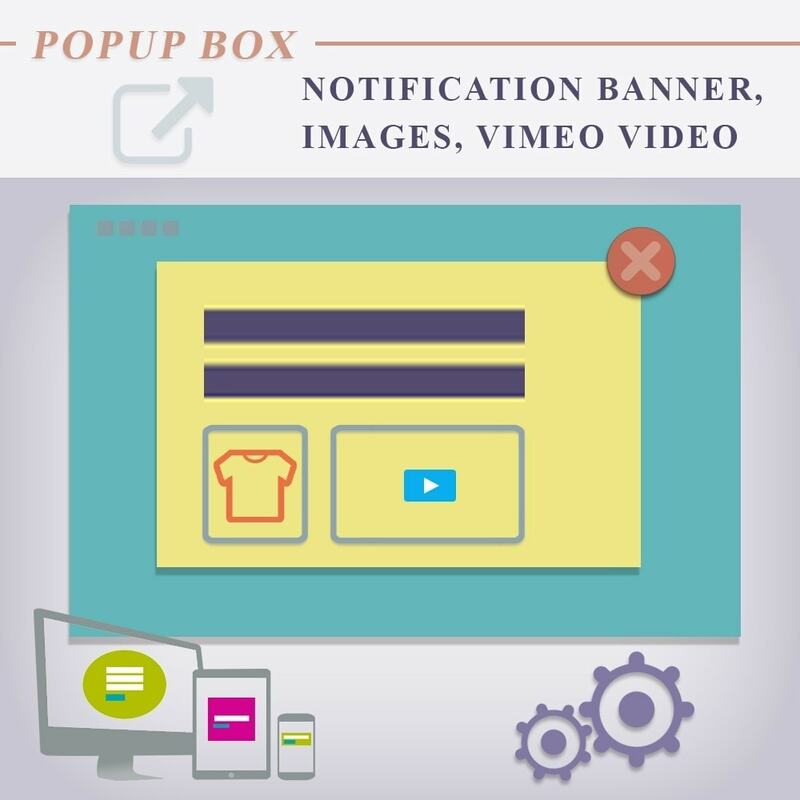 This module "Popup box notification" create a popup message (text, image,link or video) to your store . Sometimes its useful to add a popup to your store to show your ads, special announcement and for offers. importent information for your visitors. 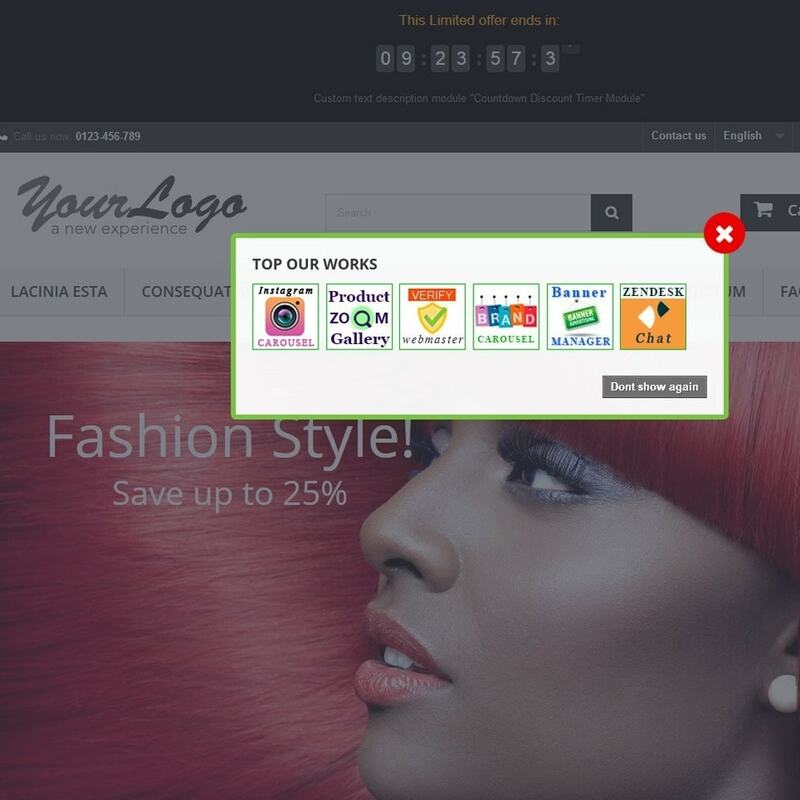 This popup ads are very effective advertising tools for your store. 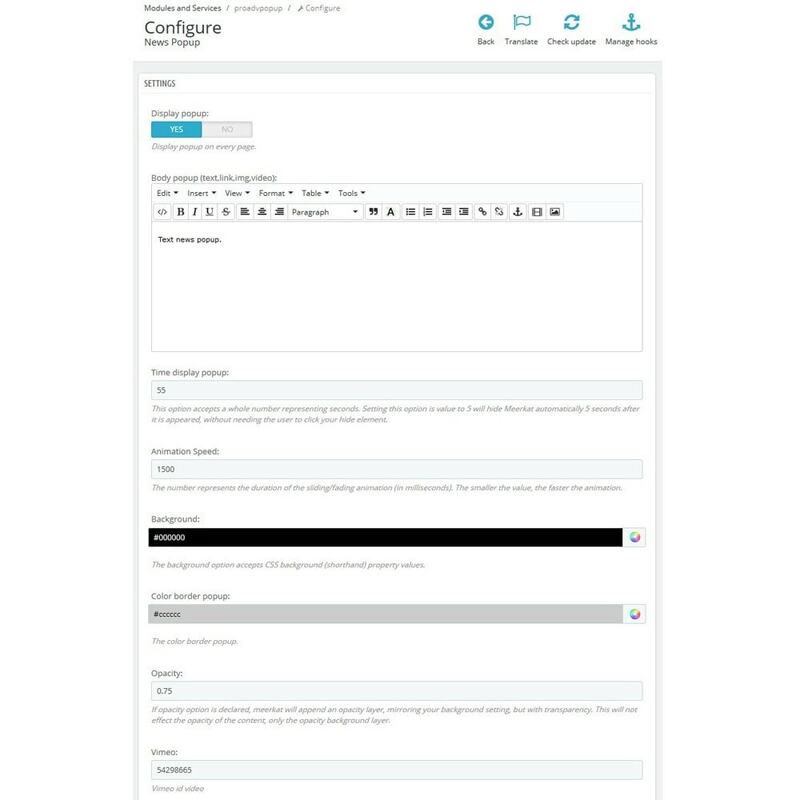 information and will find newest products or sale in your store with this module. Seting for Time during which the visitor will never see the popup. Seting for Display popup on every page or not. 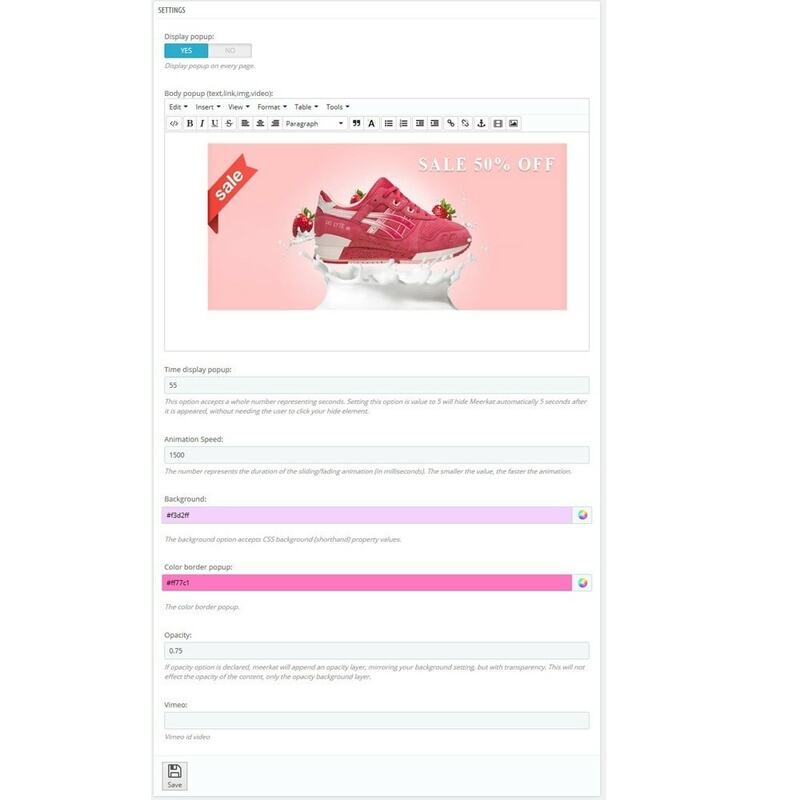 Adds content to Body popup (text,link,images,video). Option for change color of background. Option for add Vimeo video.